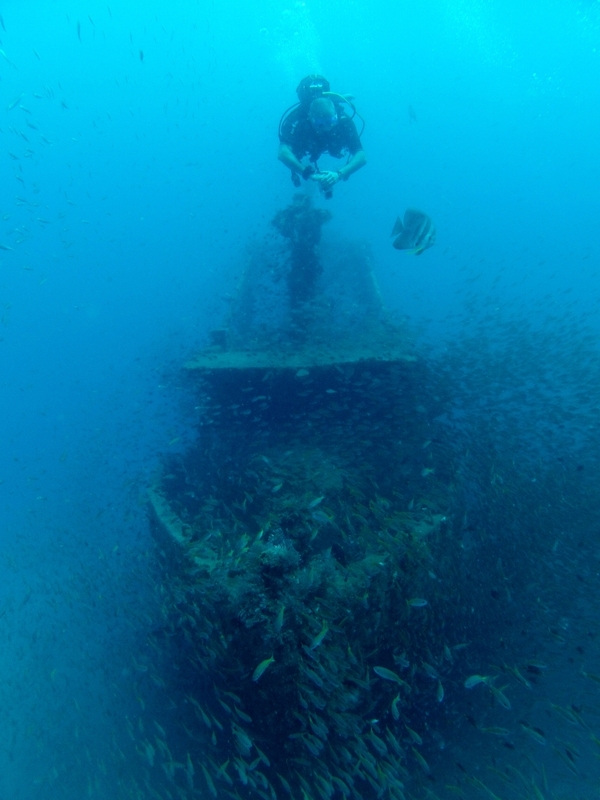 (26-29m) 4 wrecks “small to average size”, covered with coral, filled with thousands of fish,average visibility, but if one enjoys wreck diving and schools of fish ,it is a beautiful dive. (13-20m) fabulous spot, one of the most beautiful, can be average visibility. You will find yourself surrounded by hundreds of « fan corail » (3 m wide ! ), giant turtles, seahorses, stingrays and crocodile fish. You will swim between the « gorgones » a unique and out of this world atmosphere. A fantastic view which seems to have been painted by an artist.If you come to Nosy be this dive is a must!! (18-50m) drop off located fairly far from Nosy-Be, the visibility is often excellent,nice coral reef, but the interest of this dive is really the « pelagic » and black tail sharks and white tip reef sharks. 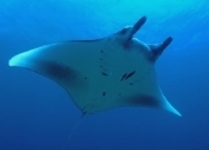 The main interest in this dive is the Manta ray.